Pretty wedding menu cards in white ink on dove grey card - lovely for any wedding with a grey colour palette. 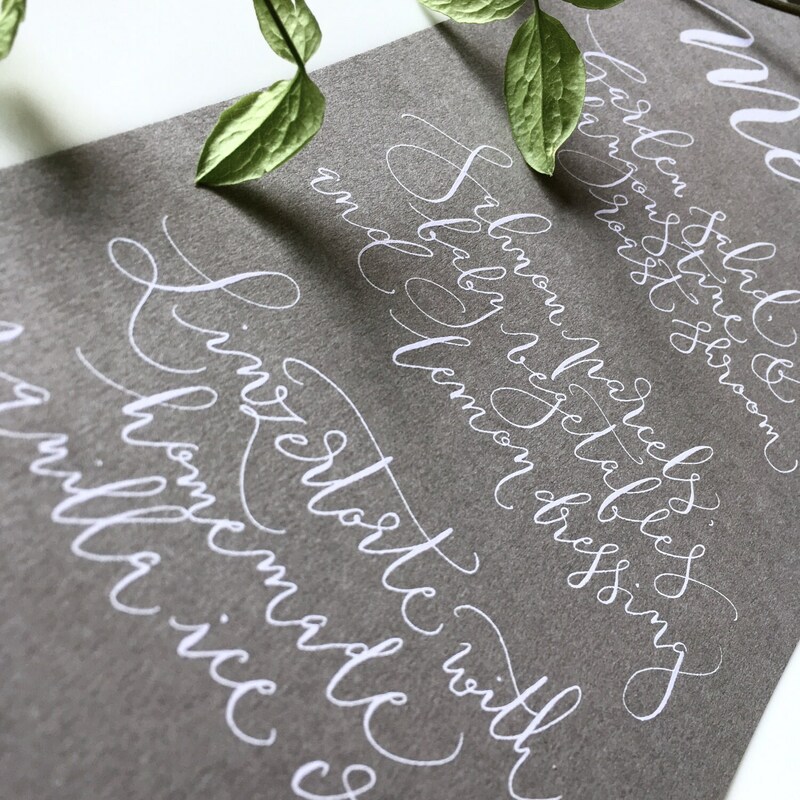 Every word is handwritten in white calligraphy ink making these the loveliest personal touch for your intimate wedding. 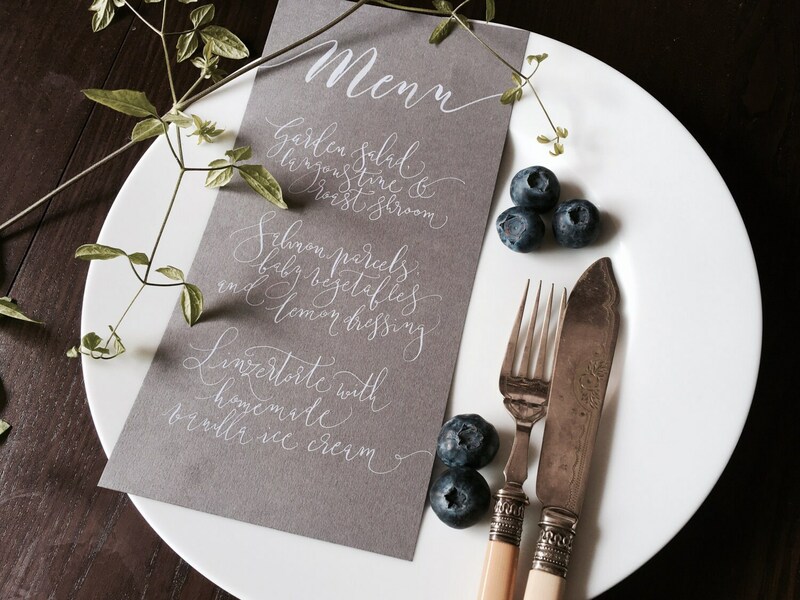 Guests' names can be added to each menu so they double up as place settings - just ask! 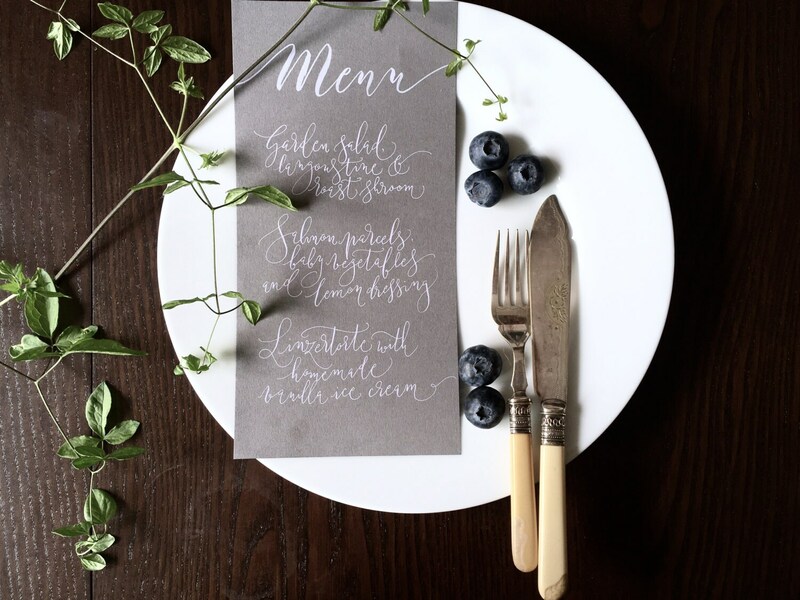 The curling modern calligraphy style is perfect for a relaxed, informal or rustic celebration with a contemporary edge. Please provide your own wording in the 'notes to seller' when you place your order. Each menu has room for up to 30 words (written one side only), and up to 12 lines of writing. Menus measure approximately 15cm x 22cm.